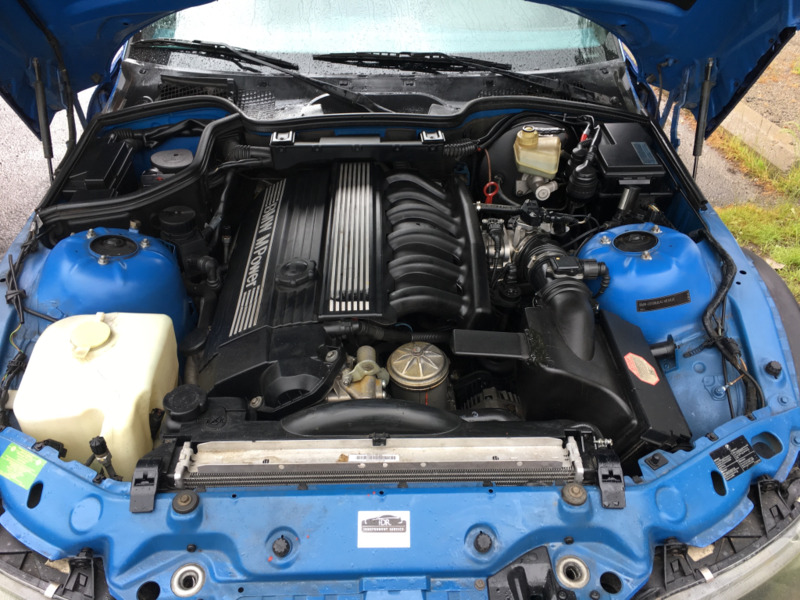 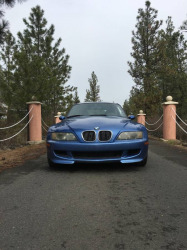 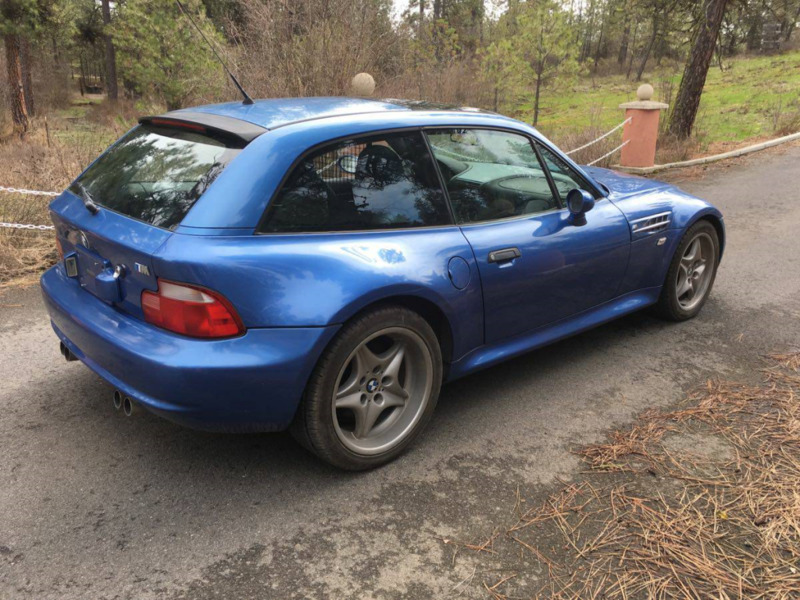 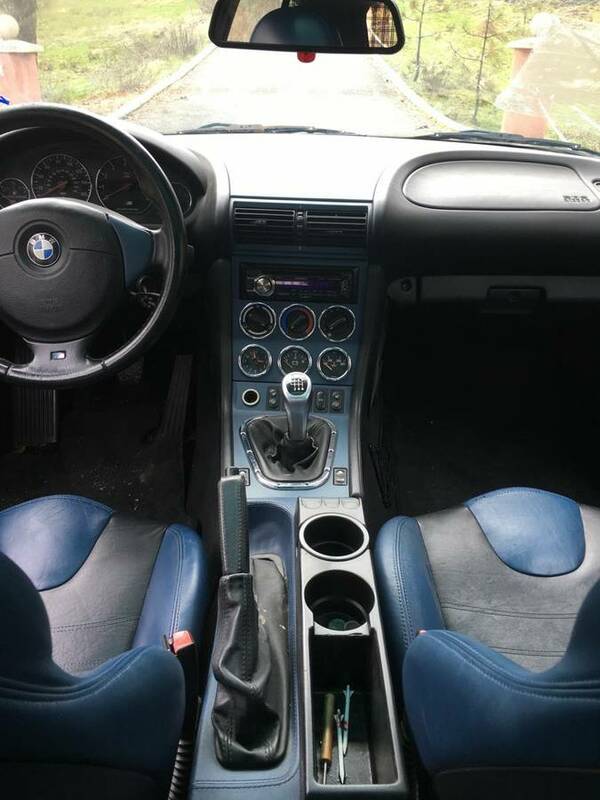 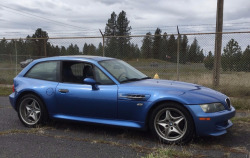 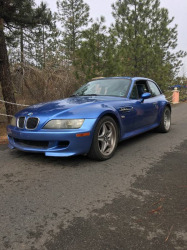 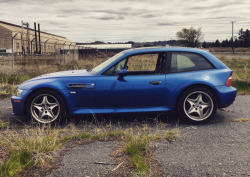 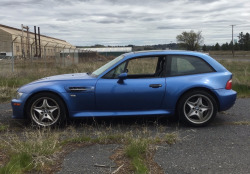 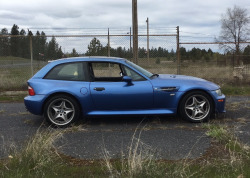 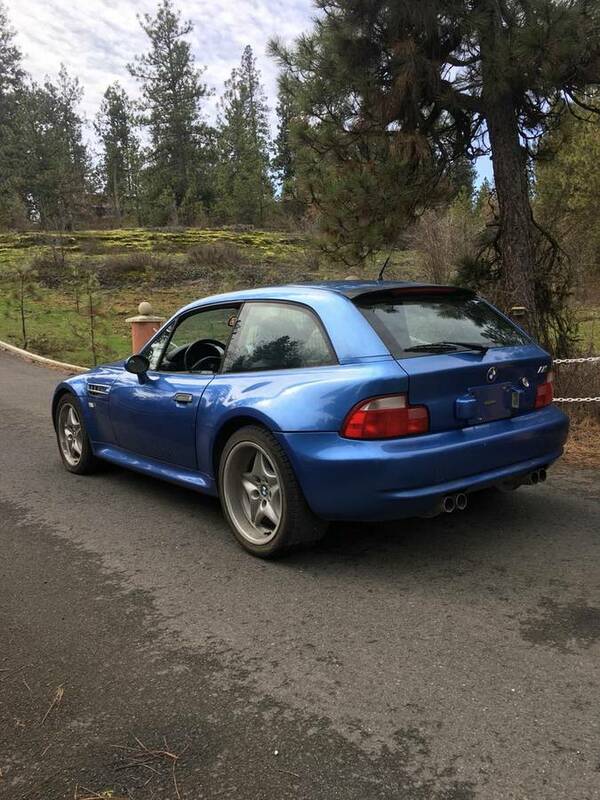 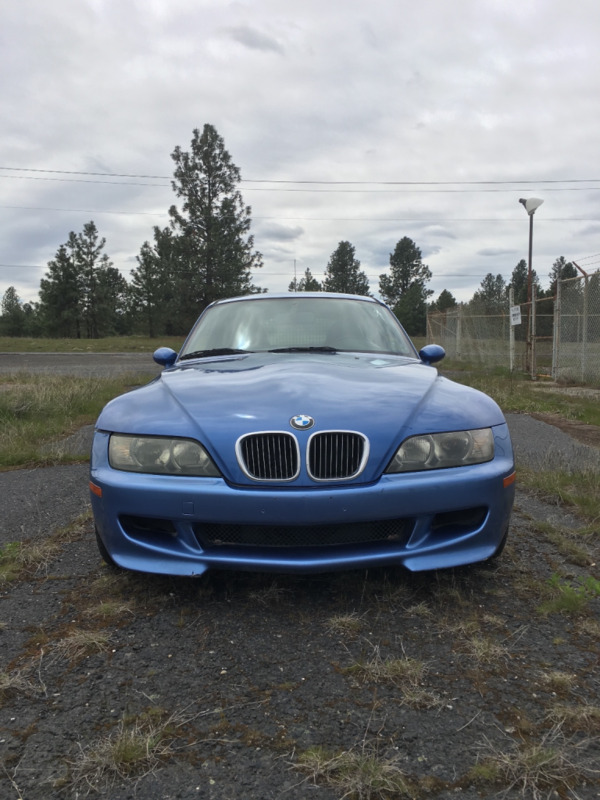 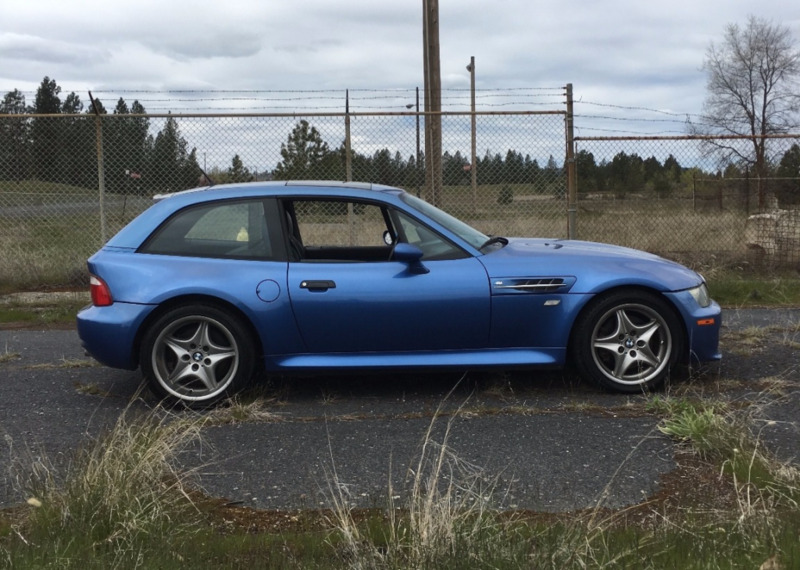 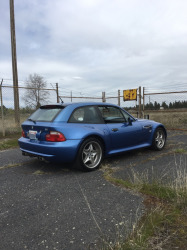 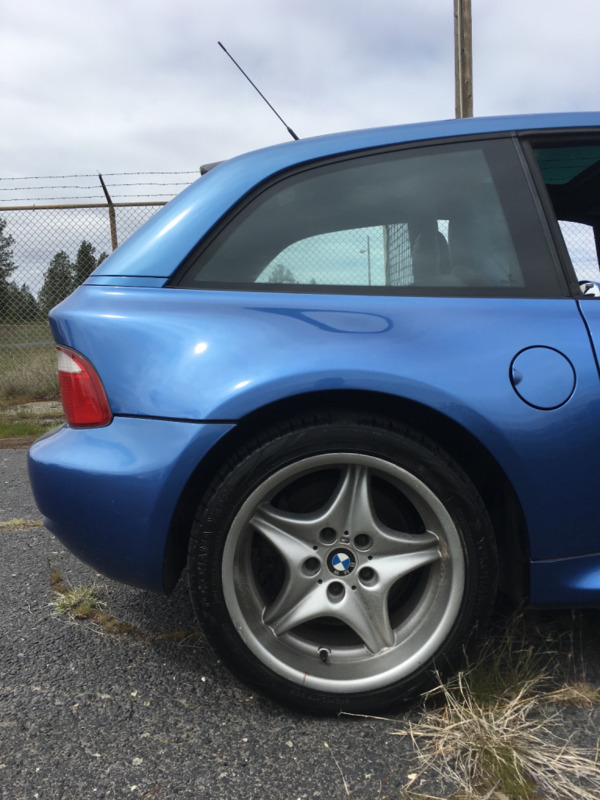 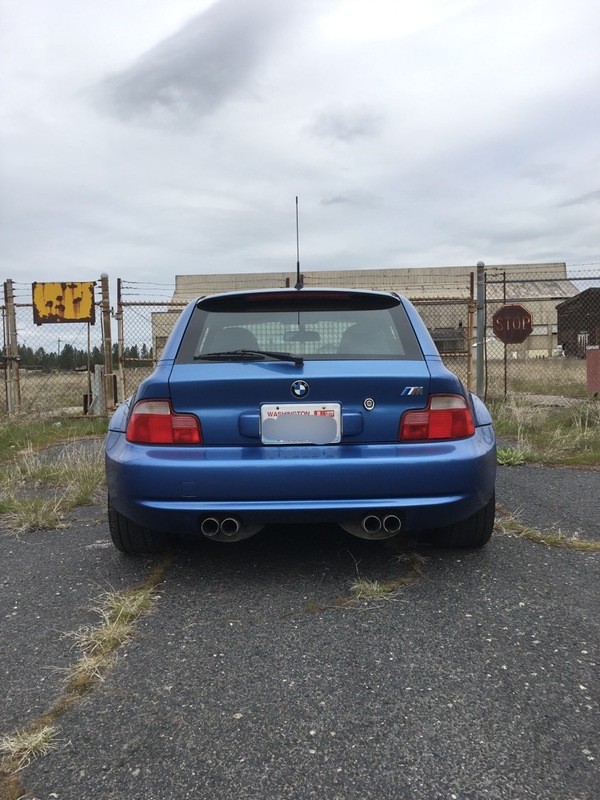 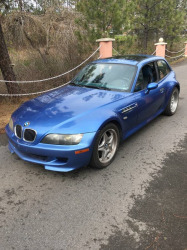 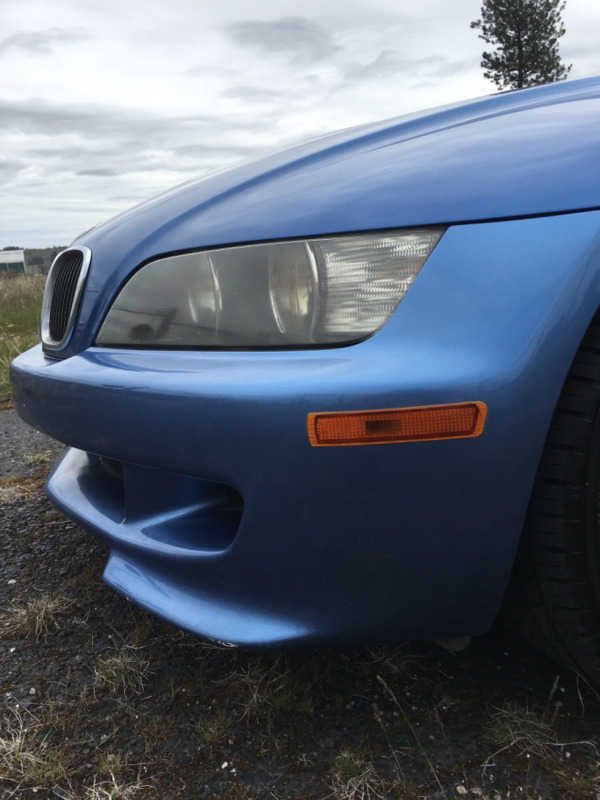 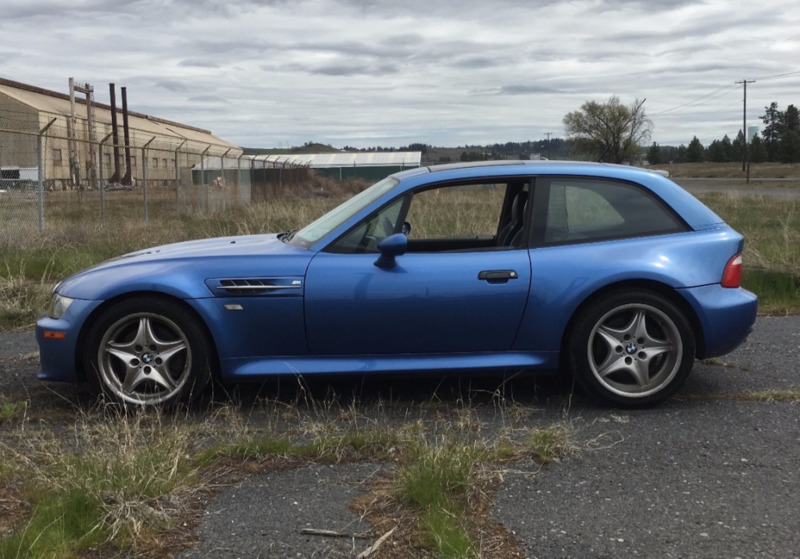 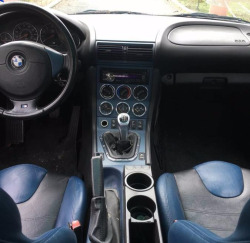 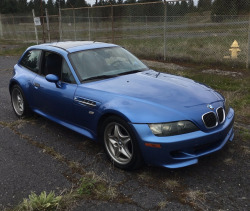 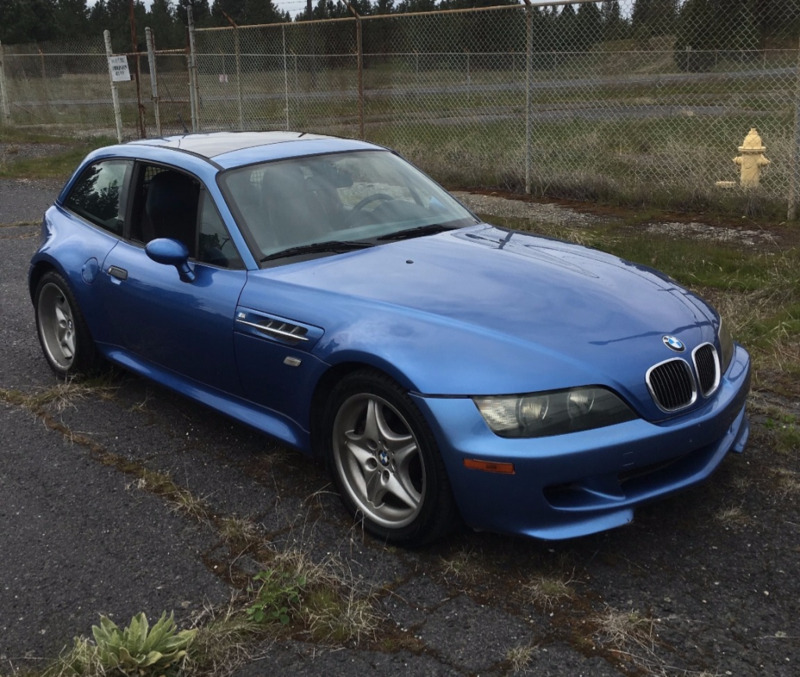 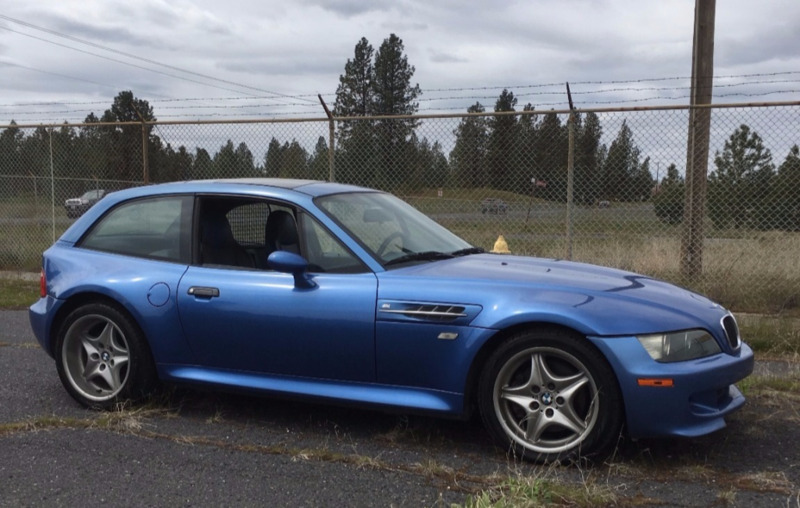 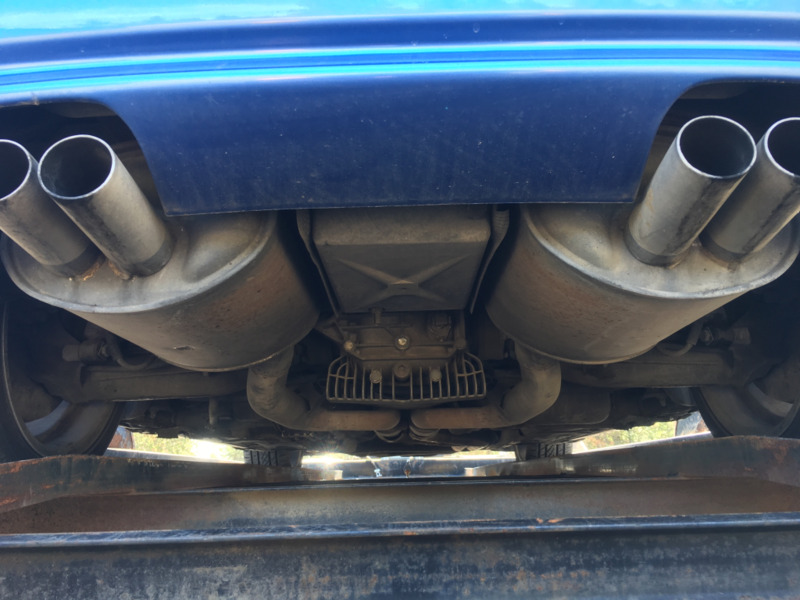 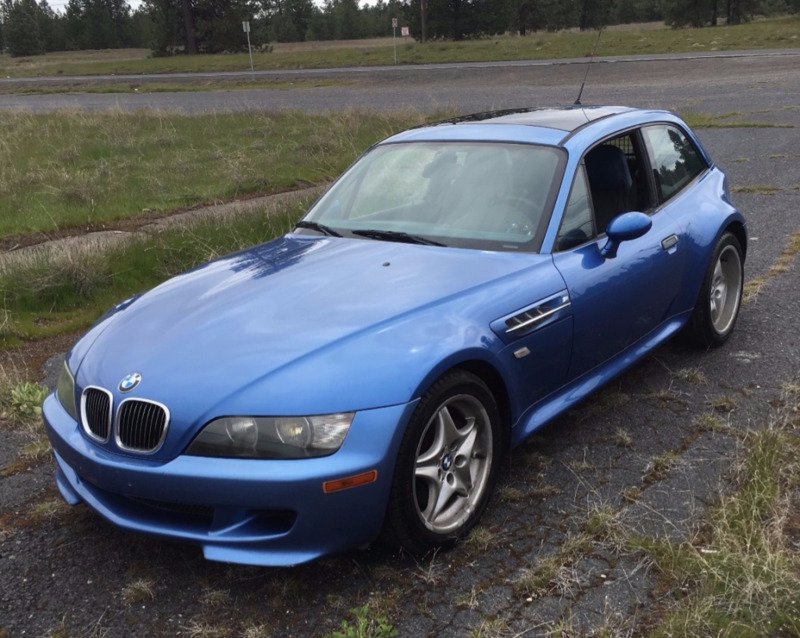 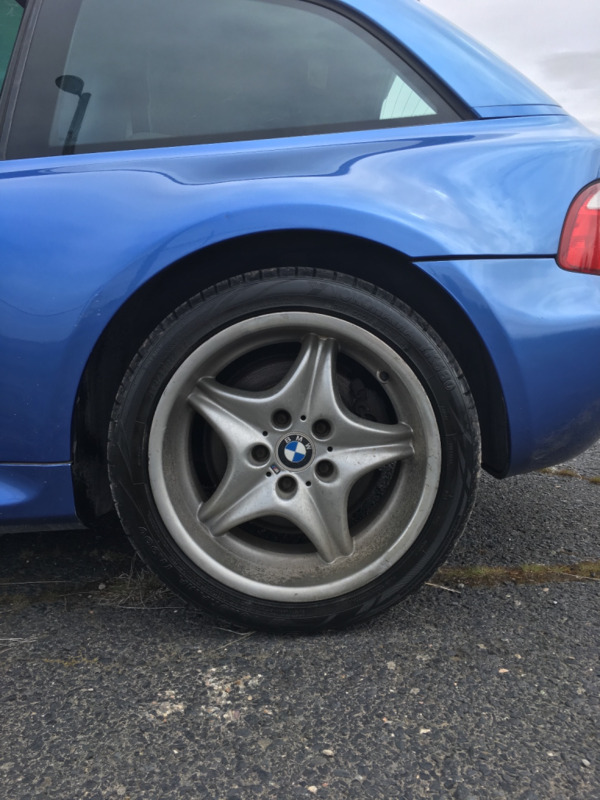 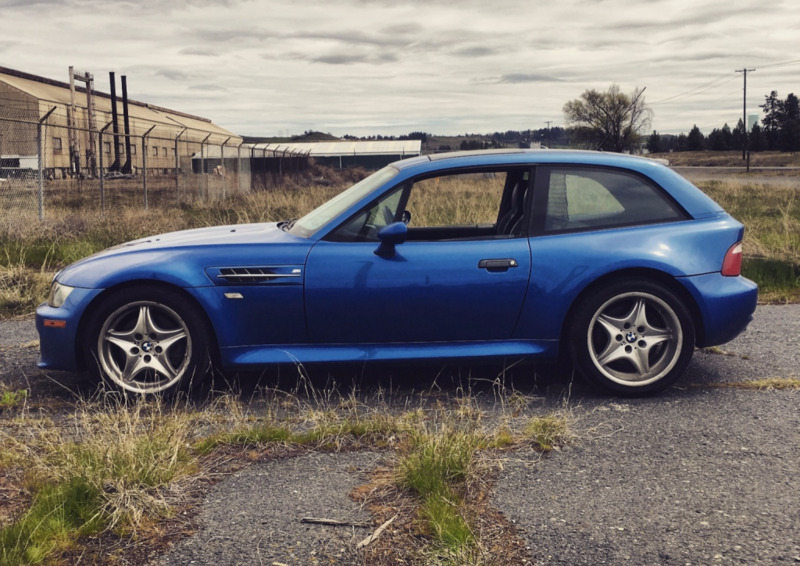 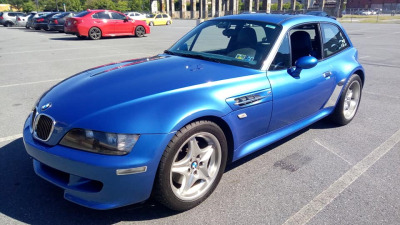 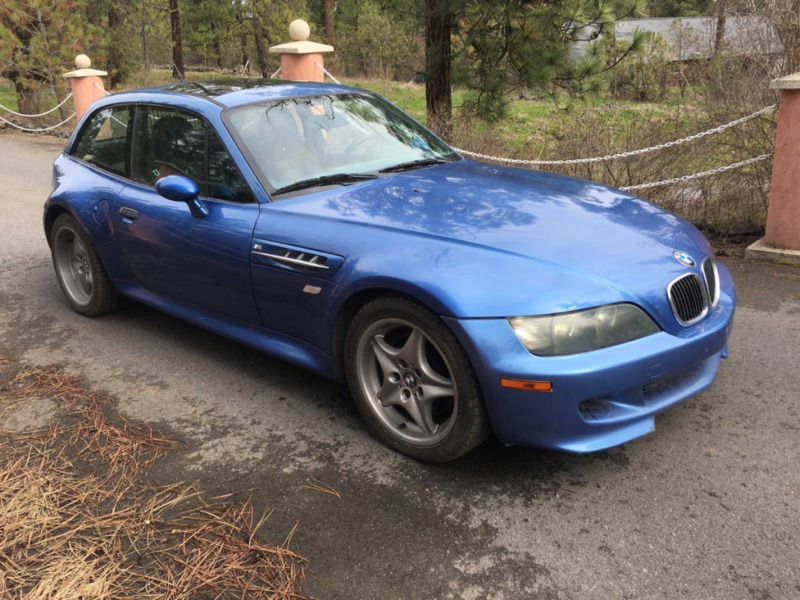 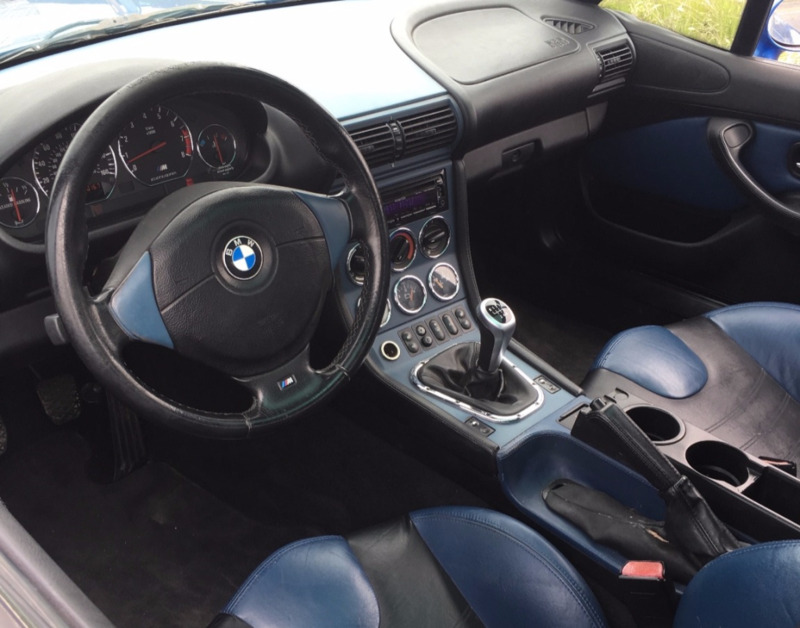 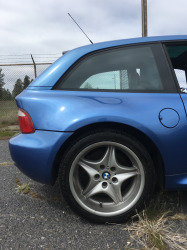 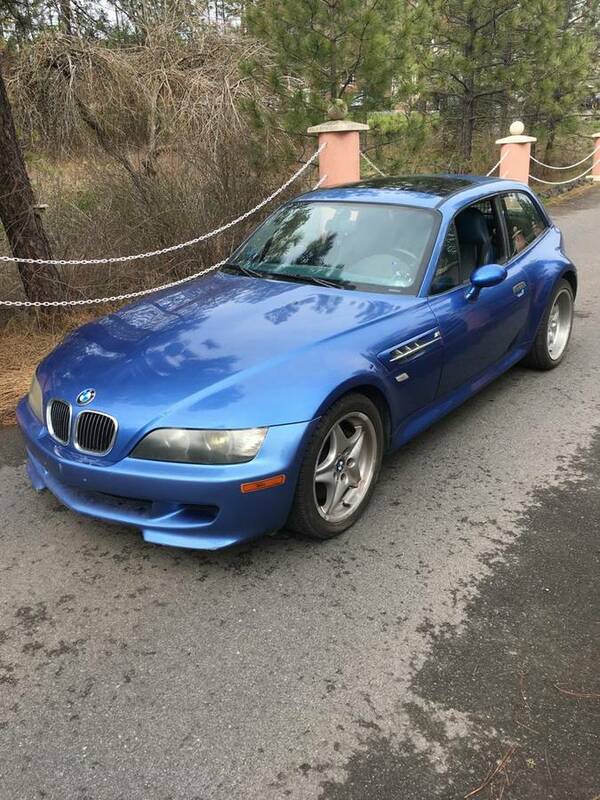 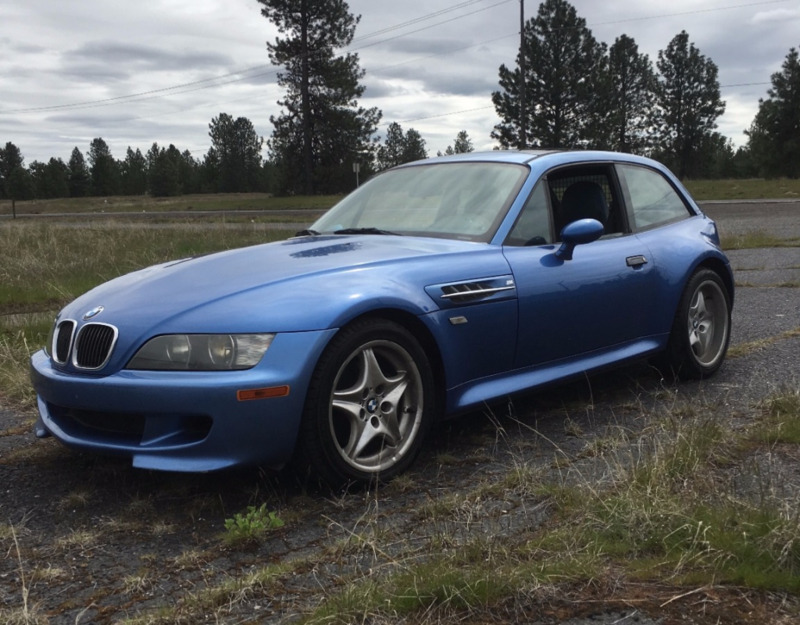 This 2000 BMW M Coupe is powered by an S52 inline-six paired to a 5-speed manual. 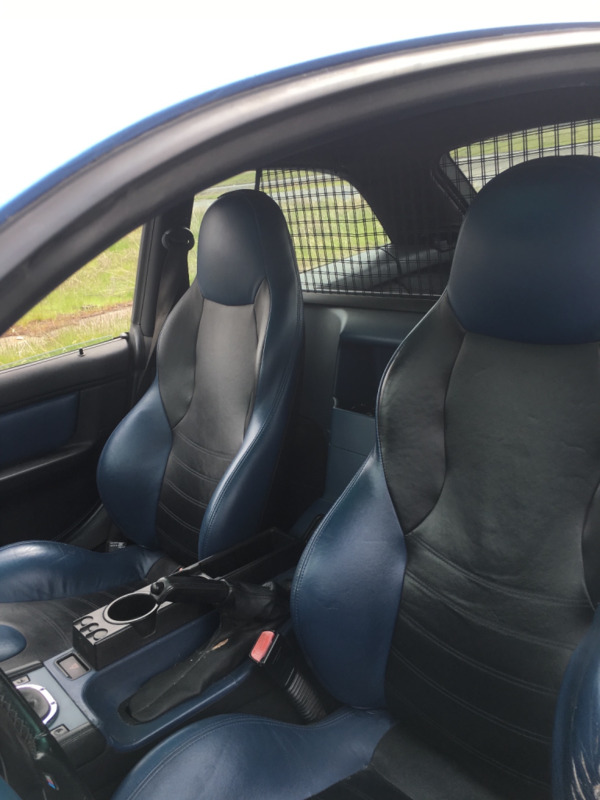 It is one of 313 Estoril painted examples with an Estoril Blue and Black Nappa leather interior, and is mechanically unmodified. 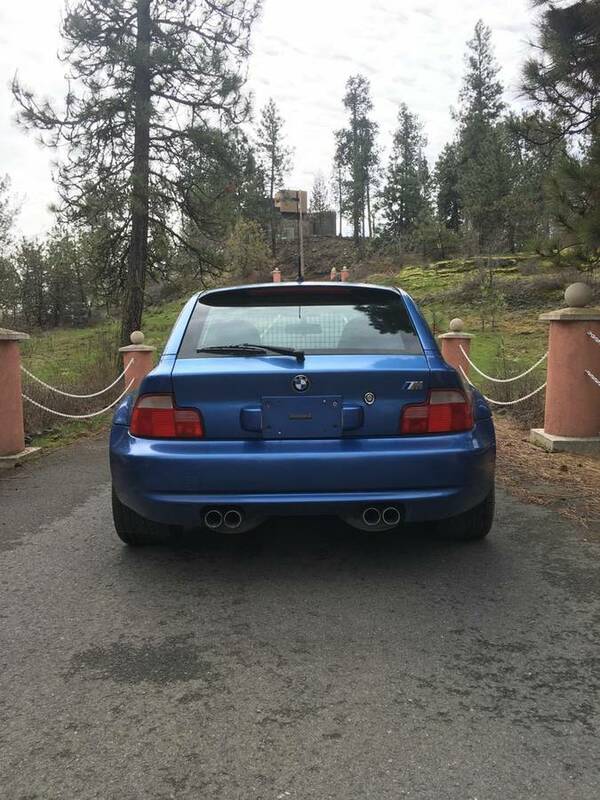 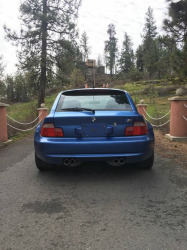 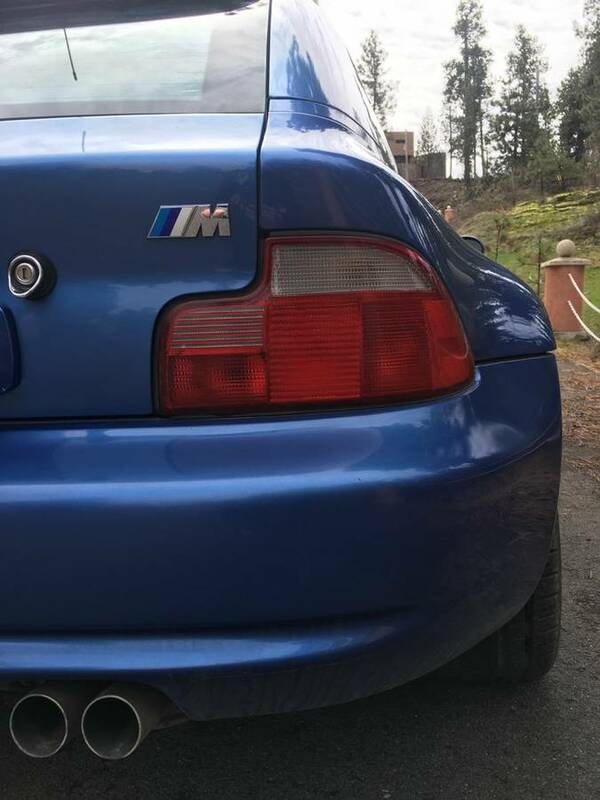 It was sold new in California and spent time in Arizona and Texas and now shows 198k miles. 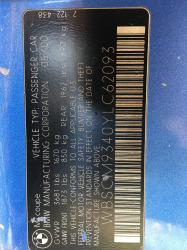 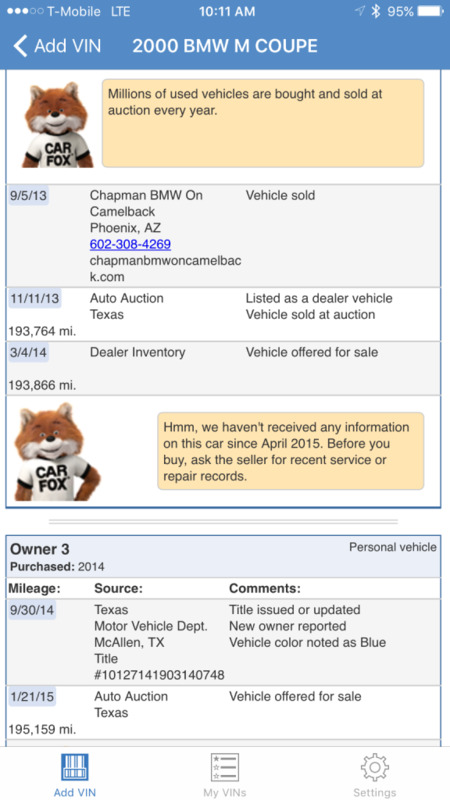 A new battery was recently installed and it is offered by the selling dealer with a clean Carfax and clear Texas title. 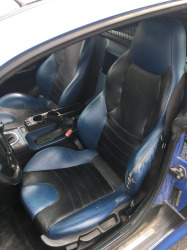 Of the 2,858 M Coupes built between 1998 and 2002, only 472 were finished in Estoril Blue. The paint on this example is believed to be mostly original with the seller noting that the roof may have been repainted at some point. 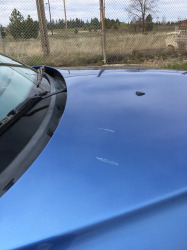 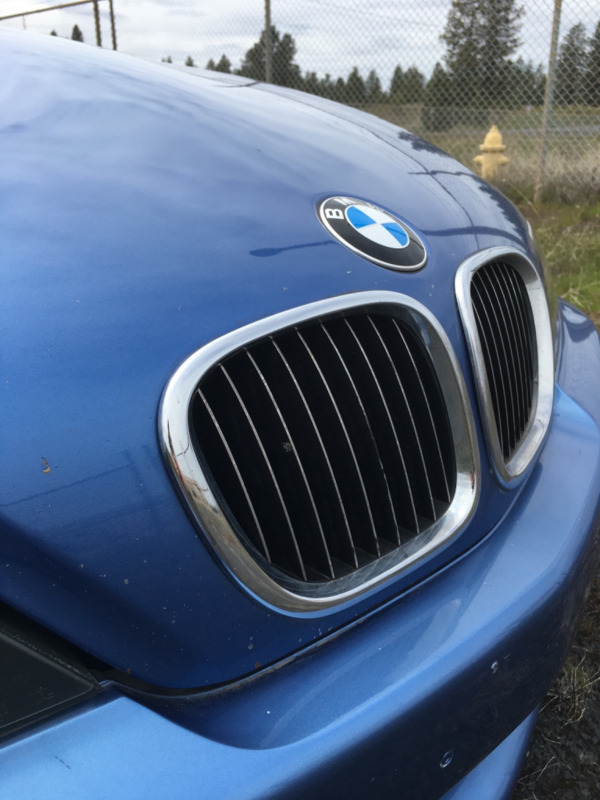 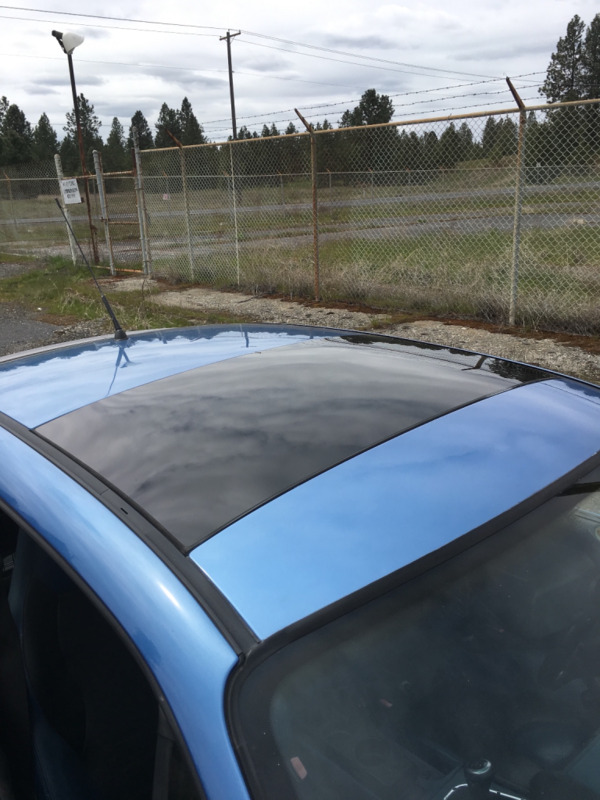 Imperfections are shown in the gallery and include chips on the hood and bumper, scrapes on the lower front bumper, and some scratches in the clear coat on the hood. 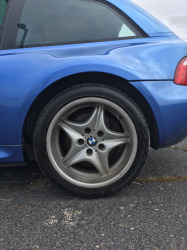 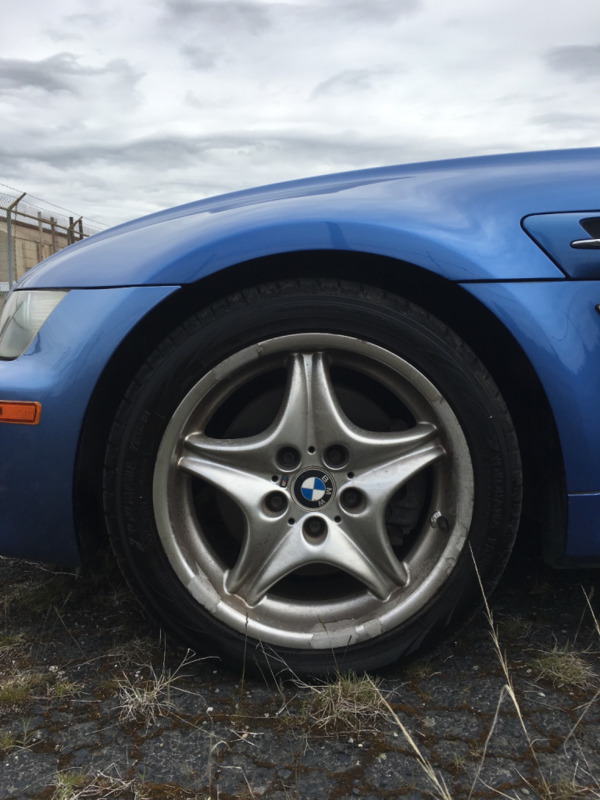 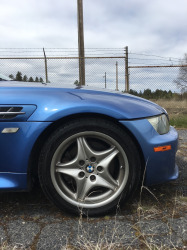 The M Roadstar wheels wear Yokohama tires with around 70% tread remaining. 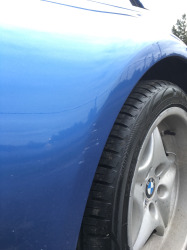 The clear coat is peeling front driver’s side wheel and the others show some curb rash. 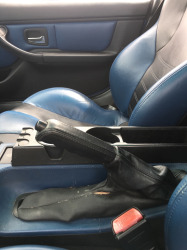 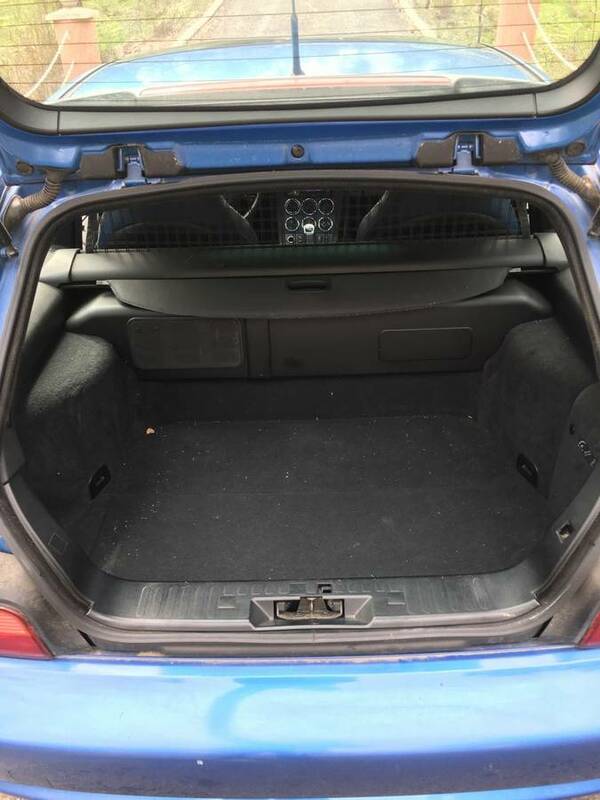 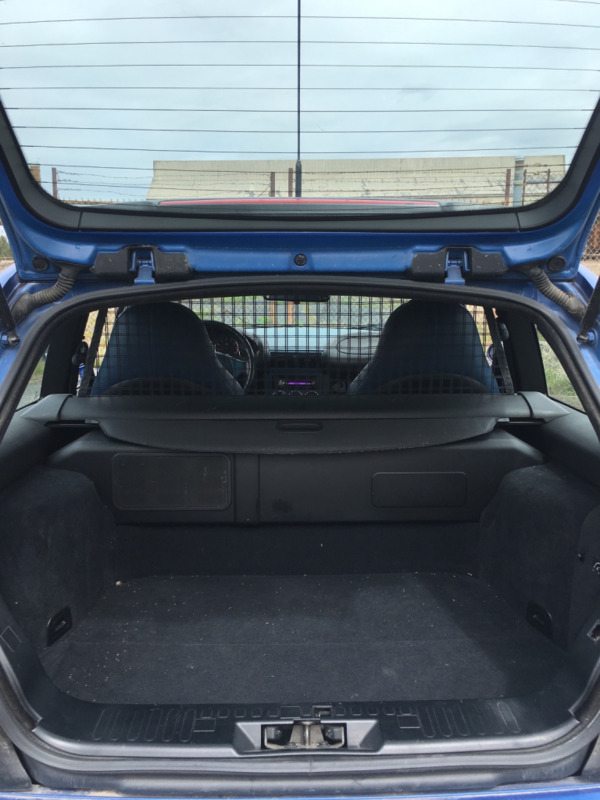 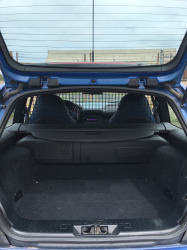 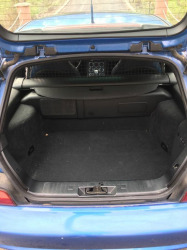 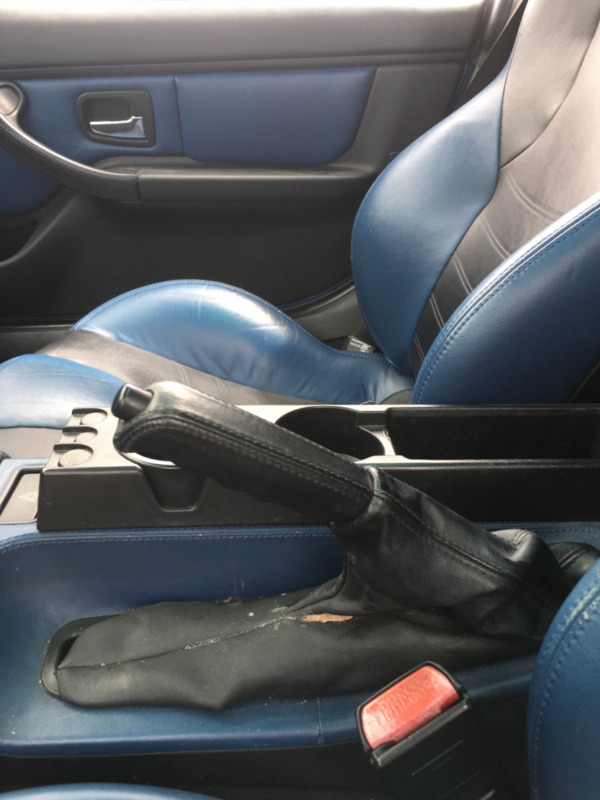 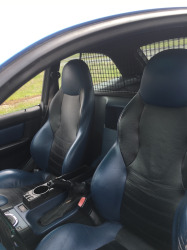 The Blue and Black Nappa leather interior is in good condition for the age and mileage, with the most wear observed on the outside of the driver’s seat bolster and the handbrake boot. 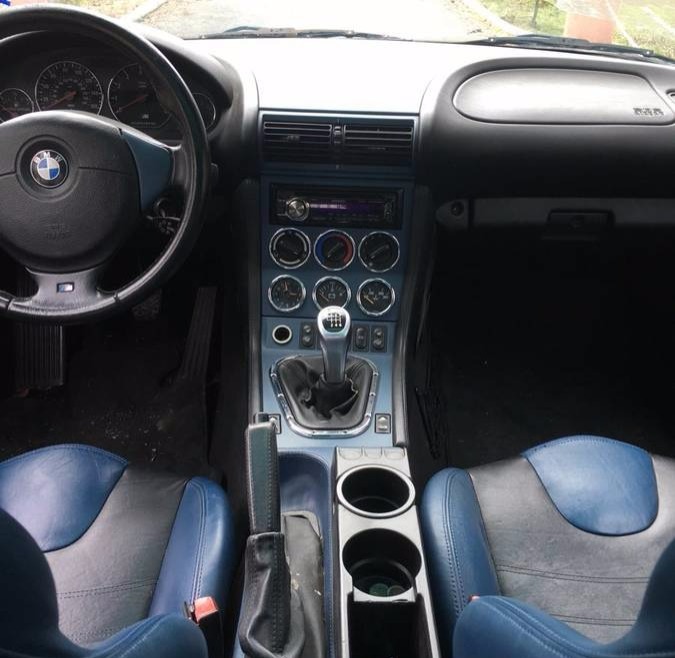 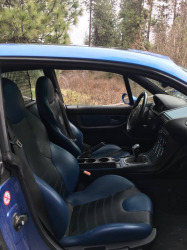 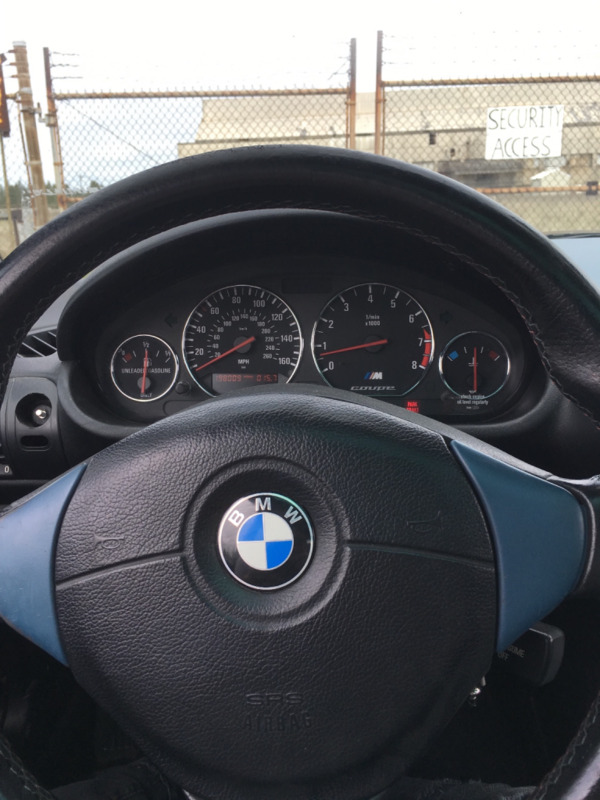 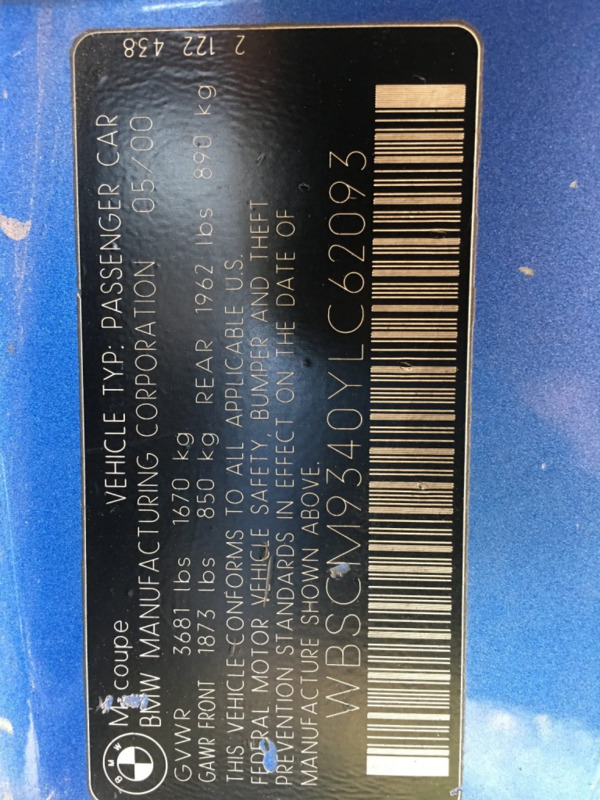 The seller reports that the backlight is not working for some of the center console gauges and that the airbag light is on. 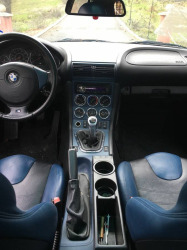 All interior features are said to work as they should with the exception of the sunroof, and an aftermarket head unit has been installed. A 6-speed gearshift knob is presently installed. 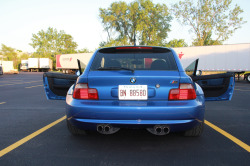 Power comes from the same 240 horsepower stock S52 inline six used in the US-market e36 M3, and it is backed by a 5-speed manual gearbox. 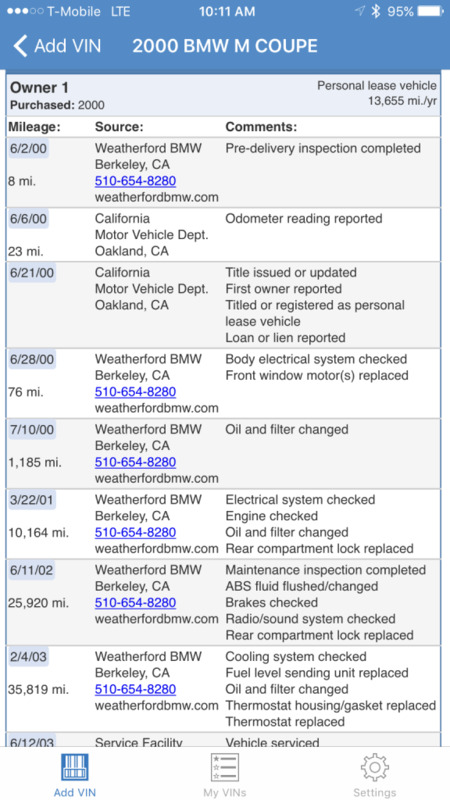 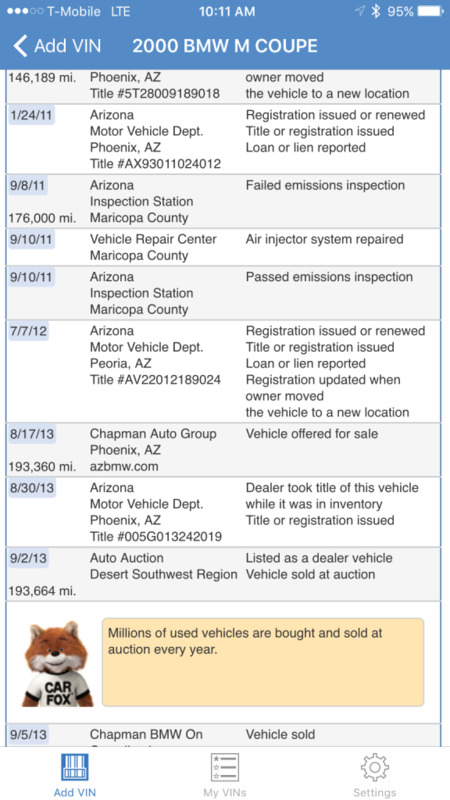 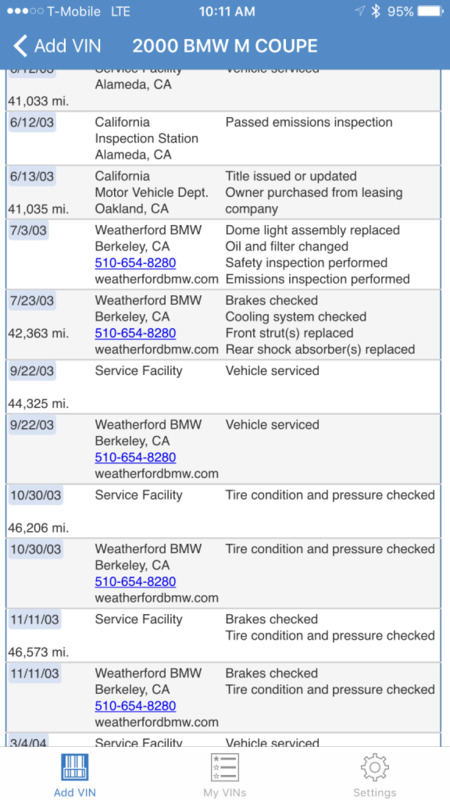 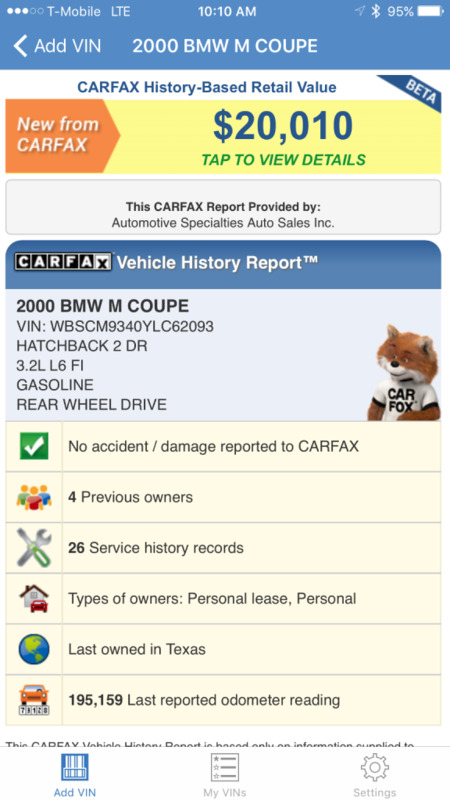 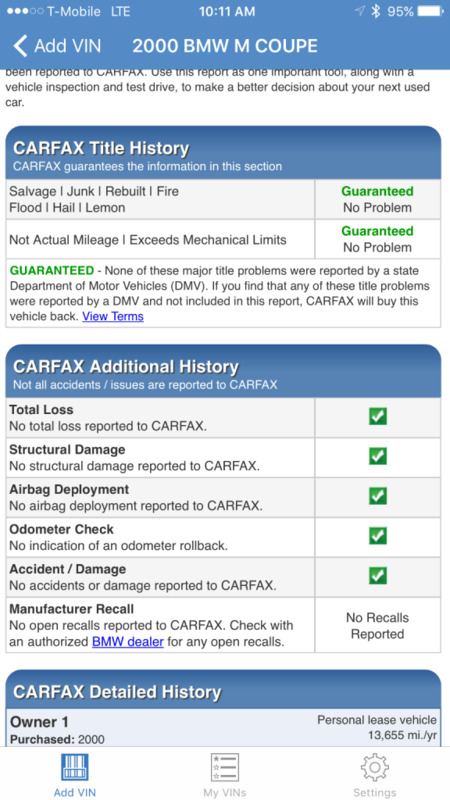 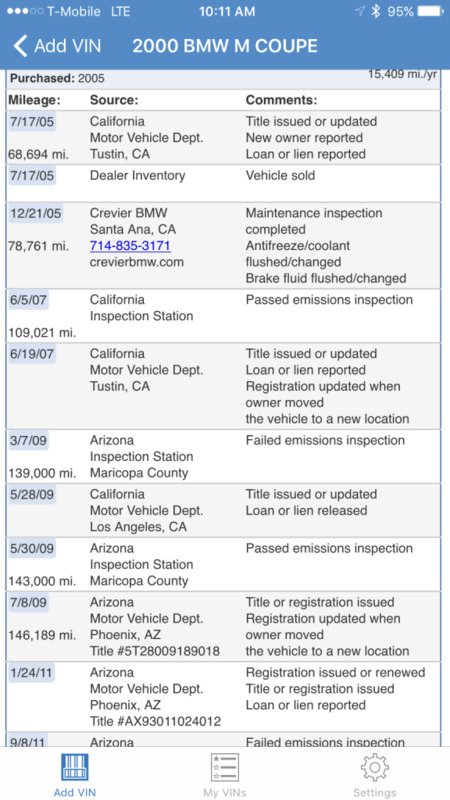 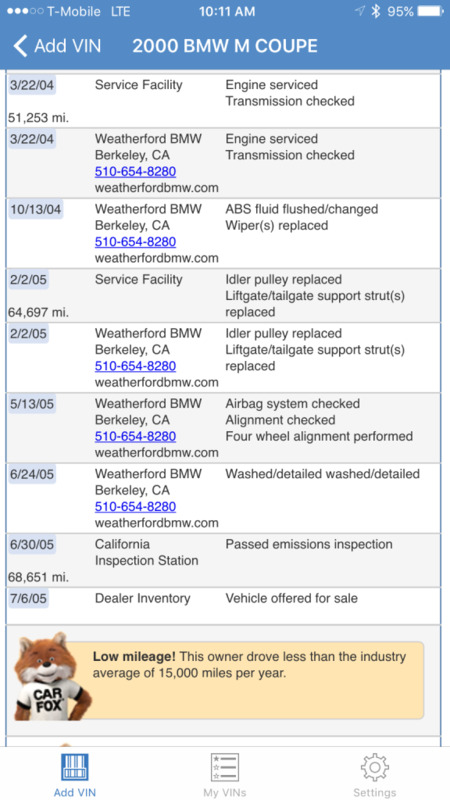 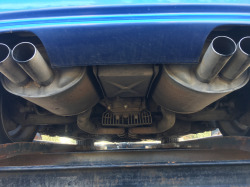 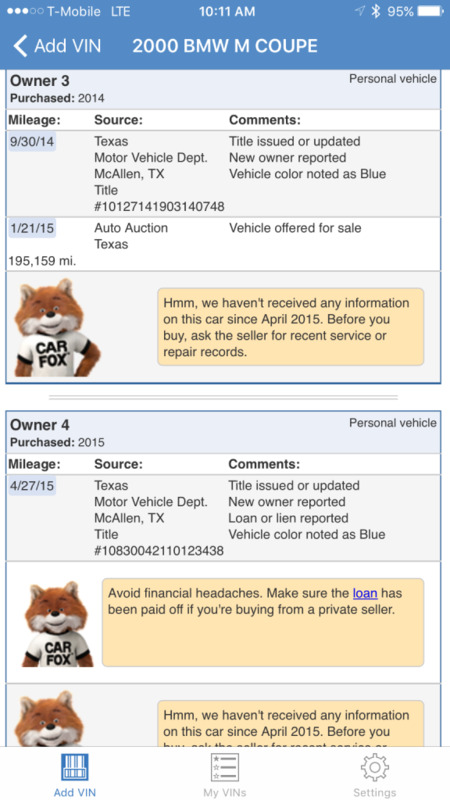 The selling dealer does not have service records however the Carfax report indicates that the car was regularly maintained. The battery was recently replaced. 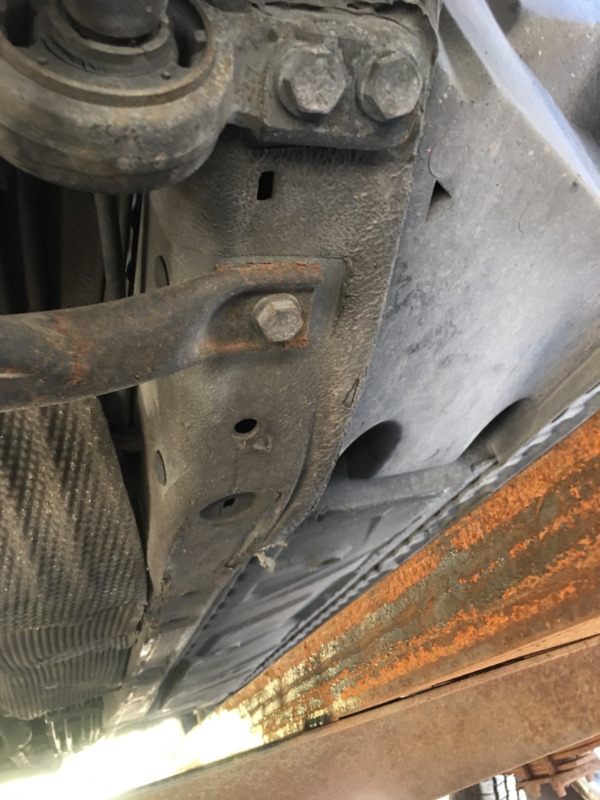 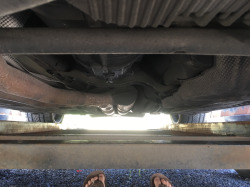 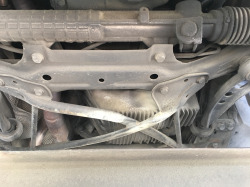 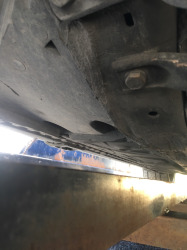 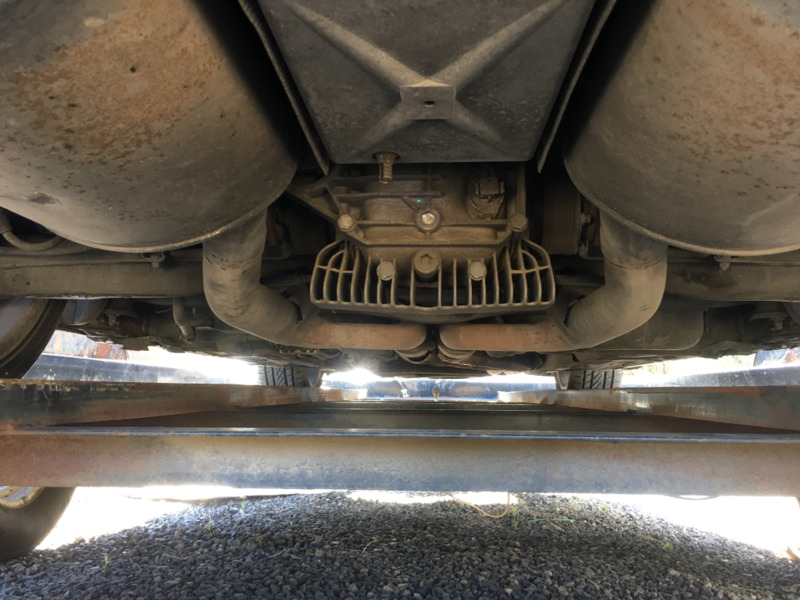 Several images showing the condition of the undercarriage are provided in the gallery. 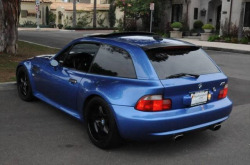 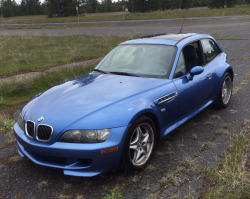 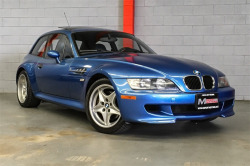 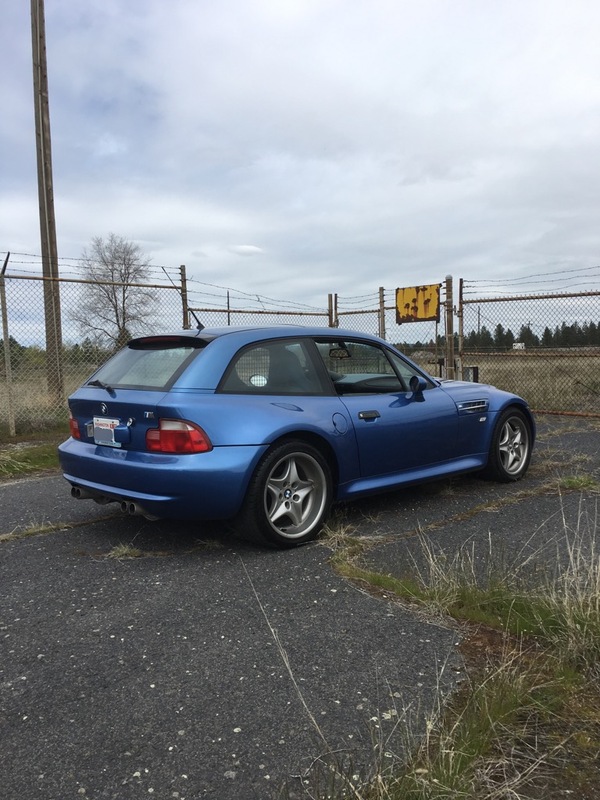 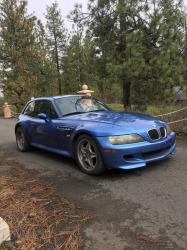 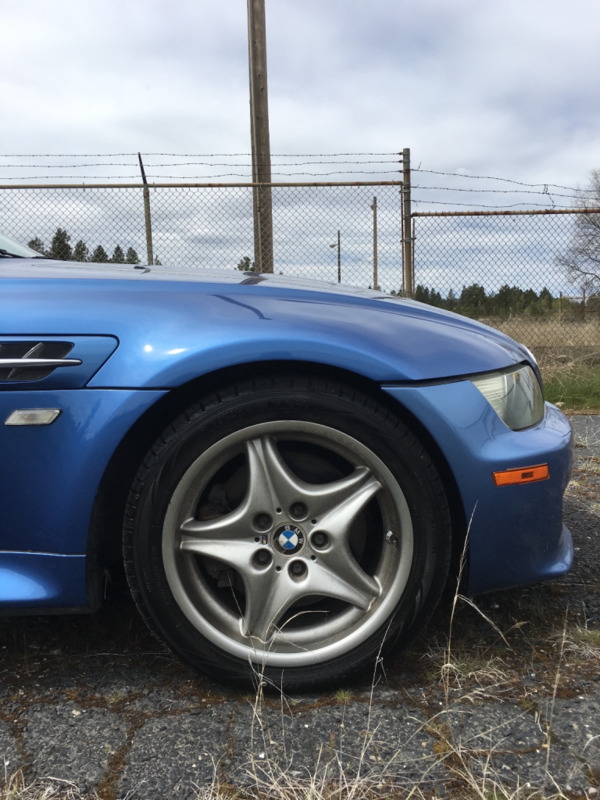 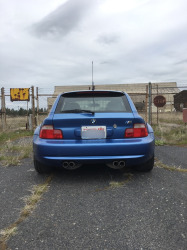 The clean Carfax report shows four owners and that this M Coupe has mostly resided in the California and Arizona. 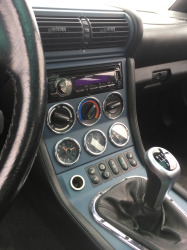 A walk around video with the car at idle is shown below. 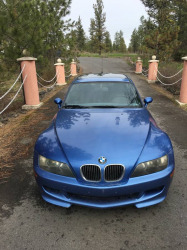 Price reduced to $14,000 from $15,000. 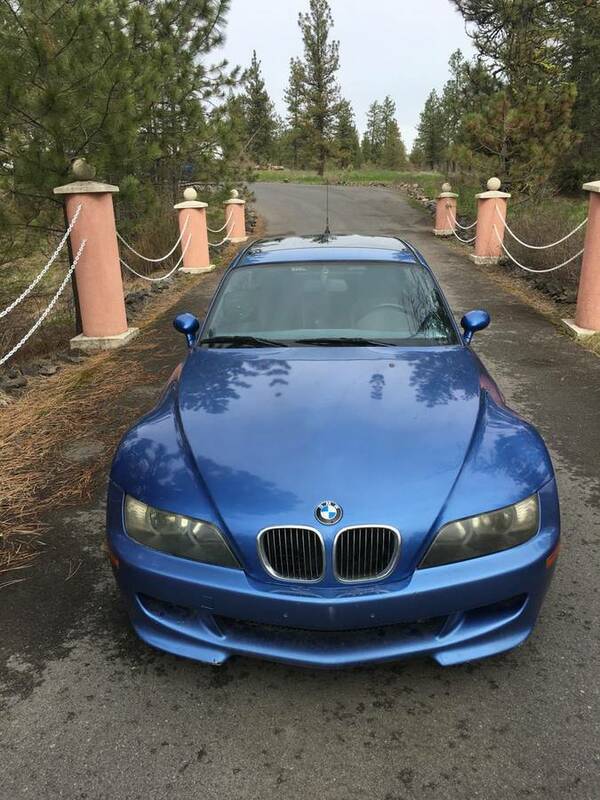 Good deal! 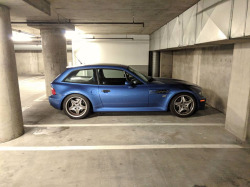 I recognize this coupe from Houston a few years ago. 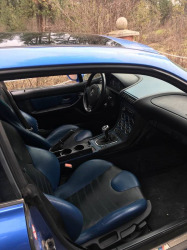 The miles are pretty high, but they haven't increased much. 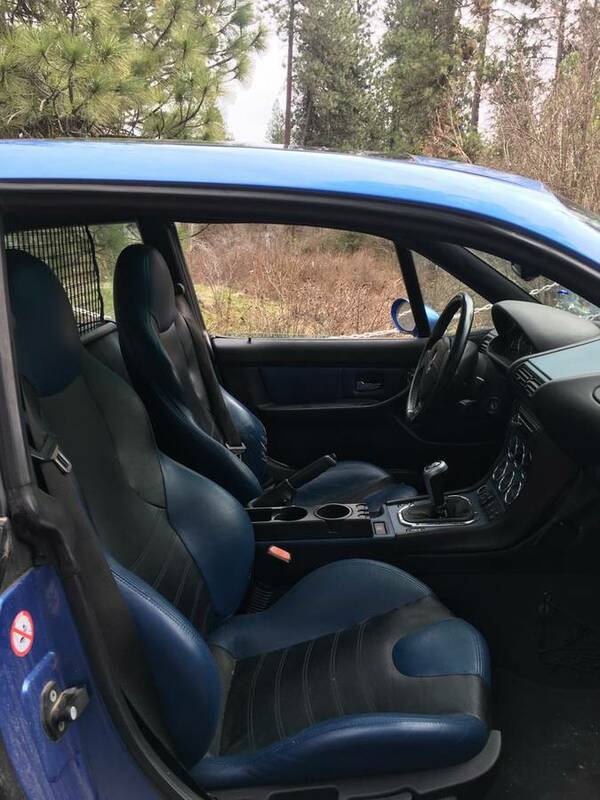 The price seems fair.